Colombo, December 4 (newsin.asia): For the first time in the history of Sri Lanka, the country has no Prime Minister or a Council of Ministers. 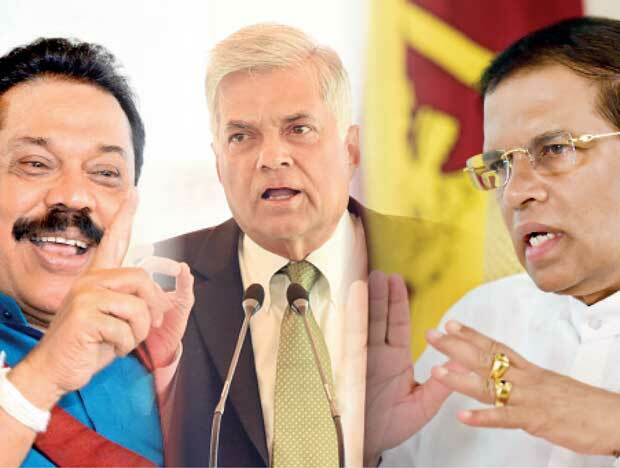 Given the deep seated conflict between President Maithripala Sirisena and ousted Prime Minister Ranil Wickremesinghe, the stalemate over who should be Prime Minister is not likely to end anytime soon. After the Court of Appeal on Monday stayed the functioning of Mahinda Rajapaksa as Prime Minister and his colleagues as ministers, Rajapaksa and his ministers had stopped attending office. All government work is now being done by President Maithripala Sirisena with the help of the Secretaries of the various ministries. In another first in post-independence Sri Lankan political history, parties in the government have been continuously boycotting parliamentary settings, saying that the Speaker has unconstitutionally declined to recognize the Rajapaksa regime as a legitimate government duly appointed by President Sirisena. “If the Speaker (Karu Jayasuriya) does not recognize us, we do not recognize the Speaker either,” said Udaya Gamannpilla a government MP. On November 29, the opposition presented to parliament a motion to deprive the Office of the Prime Minister of public funds. It passed this by a majority of 123 votes, but in the absence of government MPs and ministers. Education Minister Dr Wijeyadasa Rajapakse did attend the sitting, but after making a special address, quit the House before voting. On November 30, a motion submitted by the opposition United National Front (UNF) to curtail funds to cabinet ministers, deputy ministers and state ministers, was passed in parliament with 122 MPs voting for it. But this too was done in the absence of ministers and government MPs, who had declared a boycott of parliament earlier. On December 5, at the request of President Sirisena, the opposition is to move its third Motion of No Confidence against the government of Rajapaksa in which the electronic voting machine will be used. But the ruling United Peoples’ Freedom Alliance (UPFA) has said that it will boycott parliament on this occasion too. On Tuesday, Rajapaksa’s lawyers filed an appeal in the Supreme Court against an interim order issued by the Court of Appeal restraining Rajapaksa and his cabinet from functioning as Prime Minister or Ministers. The court had stayed their functioning till the case is adjudicated. Notices sent in this connection were made returnable on December 12. The 122 MPs who had signed the Writ of Quo Warranto petition against Rajapaksa’s holding office as Prime Minister, had been named as respondents in the appeal. The appeal states that the interim order issued by the Court of Appeal was unconstitutional as the Court of Appeal had no authority to issue such orders. According to the constitution only the Supreme Court could take up constitutional matters such as this, Rajapaksa’s lawyers contended. The lawyers requested the Supreme Court to issue an order declaring the interim order of the Court of Appeal as unlawful and sought an interim order preventing the implementation of the Appeal Court’s order until the hearing on the appeal was concluded. The Supreme Court is already hearing a case filed by opposition MPs questioning the dissolution of parliament by a Presidential gazette on November 9. The opposition contends that parliament could not be dissolved when the present House had not completed four and a half years or had not asked for dissolution by a resolution passed by a two third majority. Moreover, the then Prime Minister Ranil Wickremesinghe had the support of 122 MPs out of a total House membership of 225 which was a comfortable majority. Hearings on this case began on December 4 and will continue till December 6. A ruling is expected on December 7. However, since the original three-judge bench had been expanded to a seven-bench court, and since Rajapaksa’s appeal against the Court of Appeal’s stay is also to be adjudicated, the Supreme Court’s ruling may be delayed by a few days, lawyers felt. Till then, the “government benches” occupied by the Sirisena’s UPFA and Rajapaksa’s Sri Lanka Podujana Peramna (SLPP) will be empty. Supporters of ousted Prime Minister Ranil Wickremesinghe say that the President should immediately appoint him as Prime Minister and ask him to form a cabinet to run the country to end the constitutional impasse. Since this is the President’s stand and the opposition is equally adamant about putting up Wickremesinghe and none other MP, there is a deadlock, a logjam which can be cleared only by a mediator acceptable to both sides. But there is no mediator in sight. The four Mahanayakas or the top most Buddhist monks in Sri Lanka could fill the bill. But they appear to be reluctant and are politically divided too. However, the Supreme Court’s rulings in the two cases before it could resolve the issue. If the court upholds the dissolution of parliament, the elections to follow will determine what should be done. But on the other hand, if the dissolution is declared unconstitutional, the ball will be back in the highly contentious political court.